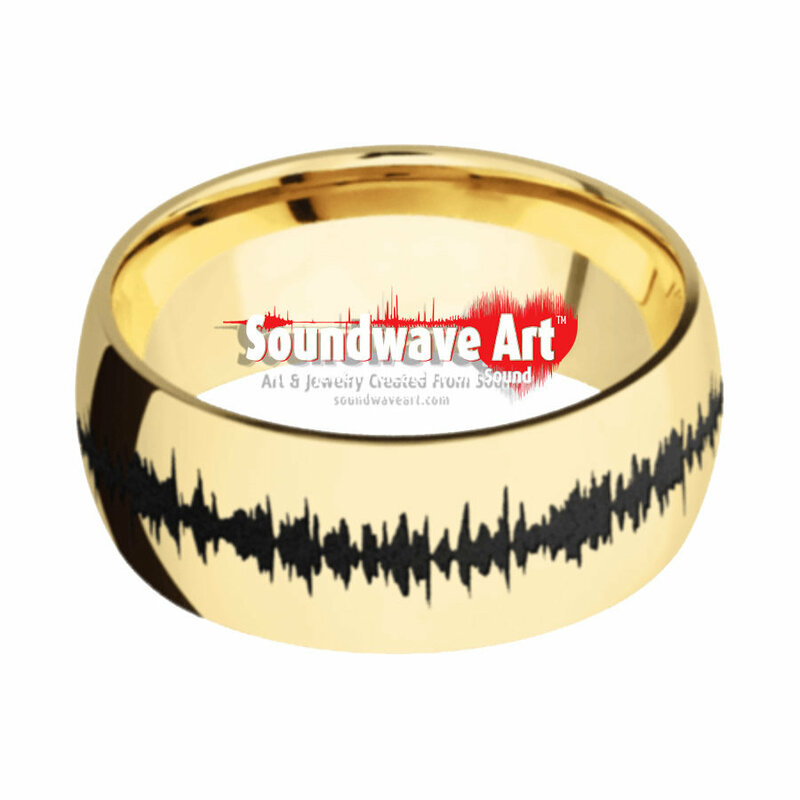 14K Yellow Gold band, black Soundwave and Polish Finish | Soundwave Rings® | Soundwave Art™ - Turn your voice or sound into art! 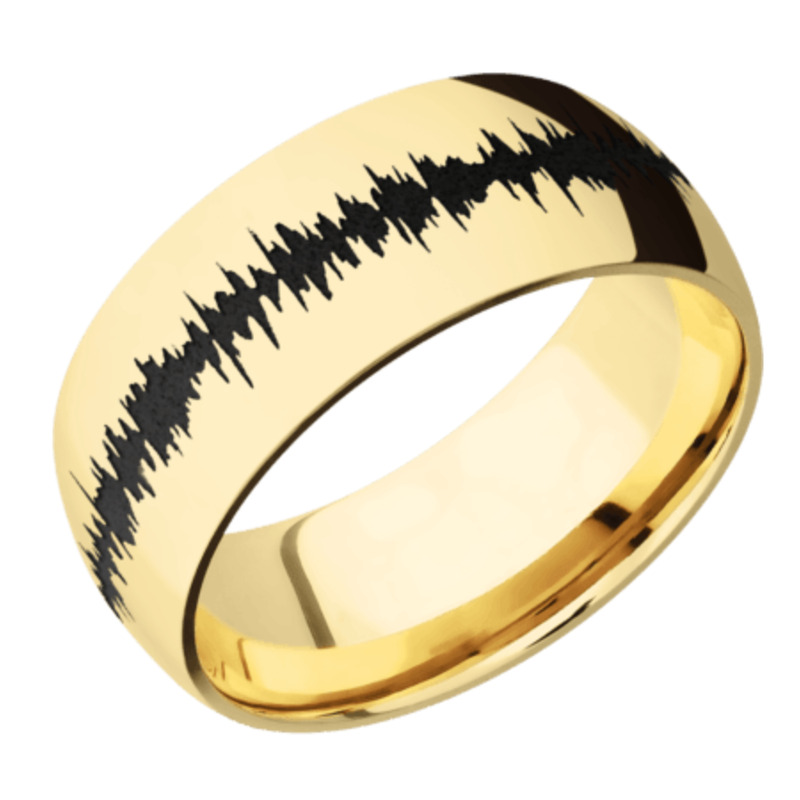 14K Yellow Gold band, black Soundwave and Polish Finish. 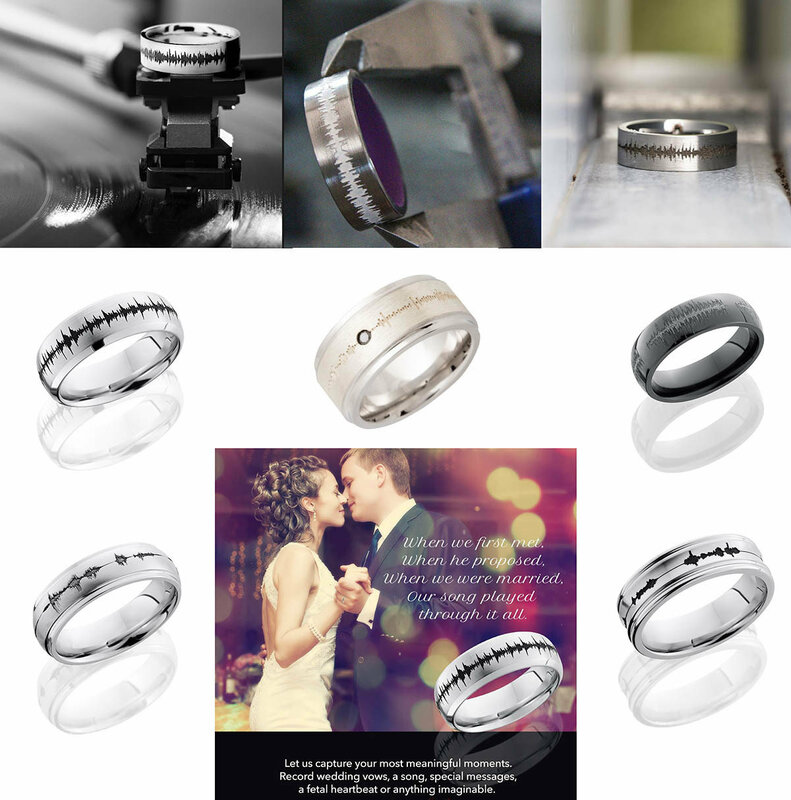 Soundwave Rings.